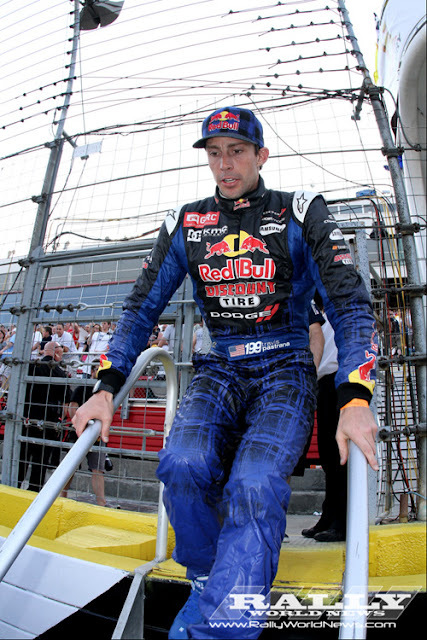 Texas Motor Speedway, June 8th 2012, Travis Pastrana’s No. 199 Red Bull Discount Tire Dodge Dart suffered significant front-end damage during the first lap of practice on Friday morning after over-shooting the 80-foot, gap-jump ramp. His primary car remains under repair. Pastrana was able to get back on track in the back-up No. 99 Dodge Dart for timed seeding. Felipe Albuquerque is scheduled to drive the No. 99 Dodge Dart.